Jumbo Hut delivery or pickup from Invermere airport: approx $1650. Additional loads from Toby/Jumbo confluence parking lot – add $600. Olive Hut delivery or pickup $1200 – $1400 depending on weather. Their Bell 407 HP Carries 5 adults with average gear, skis and groceries to these high landings well over 7,000′. 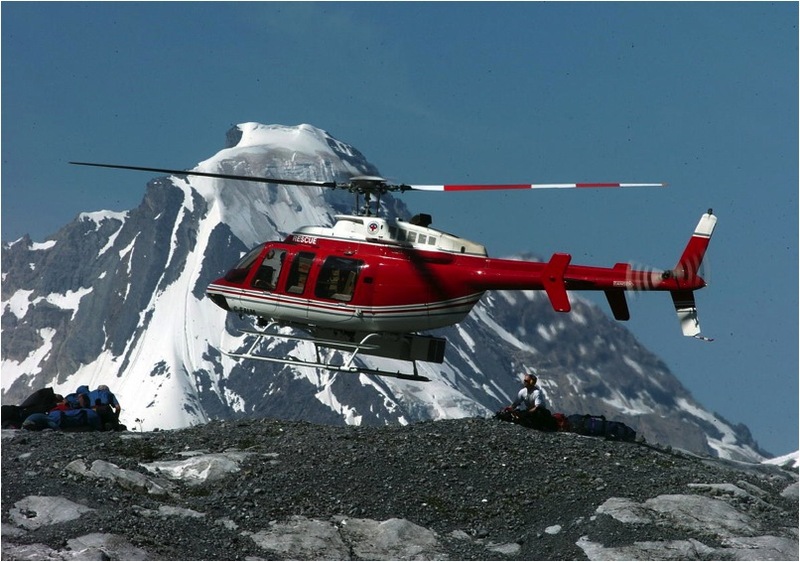 Is the closest & best heli option for Kingsbury Hut and McMurdo Cabin. Kingsbury or McMurdo delivery or pickup from Golden airport: approx $1110. Lifting from McMurdo Cabin to Kingsbury (works well to ski out to McMurdo in stable spring conditions and continue by sled. *Requires strong route finding skills) approximately the same cost. Their Bell 407 can carry 6 adults with modest winter gear, skis and groceries to these lower landing sites. *Pack gear in many smaller weatherproof bags for loading in the ski box is much preferred to a few bulky full sized packs. *Saturdays, also Sundays in winter are very busy for them! Improve your odds of getting to/from the Hut on time by avoiding weekends where possible. *Note that your out-flight pickup time may vary widely due to variable winter weather and changing heli schedules. Satellite communication is strongly recommended to get updated ETA’s. Otherwise be ready to go very early! A budget option is to be towed by snowmobile to the trailhead, then ski tour up. Ted Eugene has been doing this for many years. Ted needs as much notice as possible, preferably 2 weeks. He will tow up to six and gear to any of the Huts or trailheads except Kingsbury. Quotes available on request.